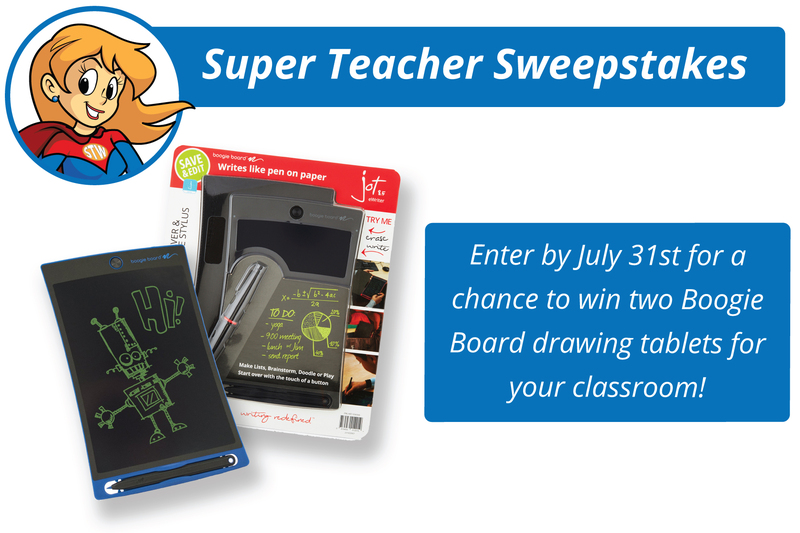 It's not too late to enter the Super Teacher Worksheets July Contest! Put your name in the drawing by July 31st for your chance to win two Boogie Board drawing tablets for your classroom. Our contest is always free to enter, so click the link below and take a chance today! Click here to enter the contest. Good luck!